Today, Square Enix updated the official website of its forthcoming game FINAL FANTASY XIV, offering would-be adventurers a glimpse of Limsa Lominsa, a key city-state within the realm of Eorzea. Visitors to the website will learn more about this thalassocratic city-state and its key landmarks, such as Fisherman’s Bottom, where gather those who harvest the sea’s bounty; the Bismarck, culinary capitol of Limsa Lominsa if not all Eorzea; and the Coral Tower, where the Knights of the Barracuda keep their shooting sharp. Also located within the city’s walls are the Fishermen’s Guild – as befitting of a maritime nation – the Blacksmiths’ Guild, the Armorers’ Guild, the Marauders’ Guild and other vocational affiliations responsible for the ceaseless activity of an industrious society. Additionally, a map of Eorzea was revealed for the first time, hinting at updates to come. Visitors to the site can view the map detailing the lands and borders of this vast realm. Created at great peril, initially by a single intrepid cartographer, this guide will prove indispensable to adventurers on their forthcoming travels throughout Eorzea. 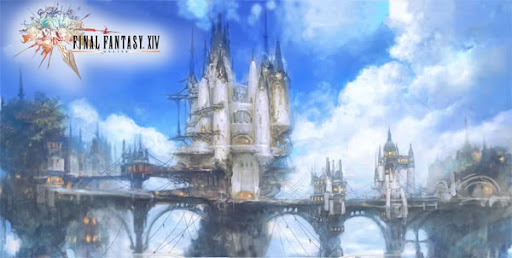 FINAL FANTASY XIV is planned for simultaneous global release in 2010, with language support in Japanese, English, French and German.